The University of Dayton has named alumnus and Chicago business executive David Yeager chair of the board of trustees and appointed three former trustees to new three-year terms. Yeager is chairman of the board of directors and chief executive officer of Hub Group Inc., one of North America’s largest transportation management companies. In 2015, Yeager chaired the University of Dayton's presidential search committee. He currently serves on the board of directors for the Ann and Robert H. Lurie Children's Memorial Hospital-Chicago and is a lifetime trustee of Fenwick High School in Oak Park, Illinois. He received an MBA from the University of Chicago in 1987 and a bachelor’s degree in chemistry from the University of Dayton in 1975. 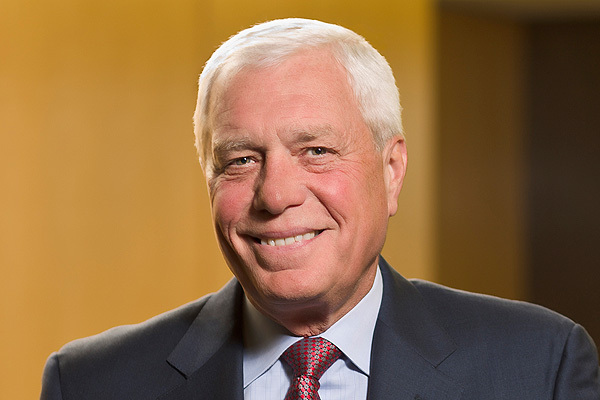 Yeager succeeds Steve Cobb, chairman of Henny Penny Corp. and a 1986 alumnus, as chair of the University of Dayton’s board of trustees. "The best leaders model the behavior they value," said Eric Spina, University of Dayton president. "With Steve Cobb, I witnessed a compassionate, patient, savvy leader who sought and valued a variety of perspectives. He served the University of Dayton with care and commitment. Dave Yeager brings a thoughtful, deliberate style that I admire. He's a strong listener who led the presidential search in a manner that met with respect from Marianists, faculty, staff, students and alumni. The University community looks forward to continuing our long relationship with Steve and to working closely with Dave over the next three years." Yeager expressed optimism for the University’s future: "I'm honored to serve as chair during this important presidential transition. Dr. Spina is a collaborative, visionary leader, and the board looks forward to working with him to shape the University of Dayton"s future." • Margaret Cavanaugh, an accomplished scientist whose career includes a stint as chair of the chemistry and physics department at Saint Mary's College in Notre Dame, Indiana. Cavanaugh, who attended the University of Dayton, received a bachelor's degree in chemistry from the University of Pittsburgh and a Ph.D. in physical inorganic chemistry from Catholic University of America. • Brother Francisco T. González, S.M., M.D., director/president of Colegio San José, a Catholic, Marianist school for boys from grades seven to 12. He holds a doctorate in medicine from the University of Puerto Rico, and has served as a fellow in child psychiatry and chief resident of the division of child psychiatry at The Johns Hopkins Medical Institutions. • Richard J. Pfleger, retired vice president of worldwide sales for Juniper Networks. He holds a bachelor's degree in marketing from the University of Dayton. "This is a board of bold thinkers and prudent risk takers who realize we have a special obligation to use our research, scholarship and creativity to make a positive difference in the world," Spina said. "They are serving the University of Dayton with skillfulness, dedication — and a can-do spirit." The new terms began July 1.